The conquest of Mecca led to mass conversion of the Arabs to Islam all over Arabia. But some tribes like Thaqeef, Hawazin, Banu Sa'ad and Banu Jashm living in the east and south-east of Mecca did not wish to leave idolatry. Their leaders decide to act immediately by attacking the Muslims in Mecca and destroying them before they consolidate their recent gains and become too strong. They were fierce warriors and they were confident that they were more than a match on the battle-field for the warriors of Islam. In late January 630, the Prophet Muhammad received reports that Thaqeef and Hawazin had left their home and were moving toward Mecca. Muhammad didn't want Mecca to become a battle-ground. He, therefore, hastily left Mecca to meet the enemy. Muhammad marched forth from Mecca at the head of all his forces, swelled now, by the addition of 2000 new recruits from Mecca, to the large number of 12,000 men. This new army was the largest force ever assembled in Arabia to that date. As its various formations marched out of the city gate, in full panoply of war, Abu Bakr exclaimed: "We cannot be defeated this time because of lack of numbers." But very soon he was proven wrong. Muslims were defeated at the beginning even though they were thrice as numerous as the enemy. Qur’an itself called attention of the Muslims that numbers alone were no guarantee that they would be victorious. "We came down through a wadi, wide and sloping descending gradually in the morning twilight; but the enemy was there before us and had hidden in the by-paths, side-tracks and narrow places. They were in force, fully armed and knowing exactly what to do, and by Allah, we were terrified when we descended and suddenly the Hawazin came down on us as one man! The Bedouin attacked with stones, boulders, arrows, lance and sword. The vanguard under General Khalid, broke, the camels jostling and crashing, screeching and tangling up their long legs." Staggered by the unexpected onslaught, the Banu Sulaim broke and fell back. The shock was communicated from column to column. Aggravated by the darkness of the hour, and the straitness and ruggedness of the road, panic seized the whole army; all turned and fled. The army of Islam was in headlong rout with the enemy at full tilt in pursuit. Witnessing what had befallen the Muslims, Abu Sufyan was pleased at the defeat of his previous enemies who until now had been celebrating their victory over Mecca. He said, "The Muslims will not be checked until they are thrown into the sea." The Apostle, of course, did not abandon his post, and stood firm like a rock. Eight men were still with him, all watching the spectacle of the flight of their army. They were: Ali ibn Abi Talib, Abbas ibn Abdul Muttalib, Fadhl ibn Abbas, Abu Sufyan ibn al-Harith ibn Abdul Muttalib, Rabi'a, the brother of Abu Sufyan ibn al-Harith, Abdullah ibn Masood, Usama ibn Zayd ibn Haritha and Ayman ibn Obaid Out of these eight, the first five belonged to the clan of Banu Hashim. They were the uncle and the cousins of the Prophet. As the troops they hurried past him, Muhammad called out: "Whither away? The Prophet of the Lord is here! Return! Return! – but his words had no effect. Not one of them heeded, and why should they? There was a Hawazin warrior after them on a russet camel, his standard flying from the long lance, and every time he dipped the blade of that lance, it showed up on the other side of someone's chest. The Prophet's voice was drowned in the uproar of men, the clamor of camels. And Ali, so quiet in peace but in battle like a demon, lunged viciously about him, fighting to get behind the Hawazin leader's camel and hamstring it..."
At last, Muhammad asked his uncle, Abbas, to cry aloud: "O ye Muhajireen and O ye Ansar! O ye victors of Badr and O ye men of the Tree of Fealty! Where are you going? The Messenger of Allah is here. Come back to him." Abbas had a stentorian voice, and as he shouted these words over and over again at the pitch of his voice, they were heard far and near. At once they touched a chord in the hearts of the men of Medina. They were arrested in their flight, and hastened to Muhammad, crying aloud, "Ya Labeik! Here we are at thy call!" One hundred of these devoted followers, disengaged with difficulty from the camels that jammed the narrow pass, threw themselves upon the advancing enemy and checked his progress. The army rallied gradually, and returned to the battle. Muhammad ascended an eminence and watched the struggle. Excited by the spectacle, he began loudly to exclaim: "Now is the furnace heated: I am the Prophet that lieth not. I am the offspring of Abdul Muttalib." Then bidding Abbas to pick up for him a handful of gravel, he cast it towards the enemy, saying, "Ruin seize them!". The steadiness of the Medina army, and the enthusiasm of the rest when once recalled, had won the day. The enemy fled, and the rout was complete. Many were slain and so fiercely did the Muslims pursue the charge, that they killed among the rest some of the little children – an atrocity which Mohammed had strictly forbidden. The pagan tribesmen were defeated but they were able to regroup, and retreated in good order from the valley of Hunayn. Their general, Malik ibn Auf, rallied his horsemen sufficiently to make them hold their ground till the weaker members of the party were covered, and they could make their way to Taif. Some of their women fell in the hands of the Muslims. Khalid, whose savagery had already won a rebuke from the Prophet, earned a fresh one by thinking it his duty to kill these amazons; an act which was totally against the Prophet's ideas of gallantry. A highly important victory was gained at a time when a reverse would have had serious consequences; for Abu Sufyan might have taken advantage of a disaster. Though Abu Sufyan, the chief of the Banu Umayya, had accepted Islam, he was thrilled to see the flight of the Muslims, and hoped that they would be thrown into the sea. When Hikda bin Umayya, another Muslim of the clan of Banu Umayya, saw the rout of the Muslims, at the beginning of the battle, he remarked: "At last the spell of Muhammad is broken." Both of them must have imagined of reinstating Hubal, their dynastic god, to his throne in the Kaaba. Soon there was a reversal in the fortunes of the battle, and this reversal must have caused great heart-burning to Abu Sufyan and his clansmen as they lost the last, best hope of reviving idolatary. Hunayn was the last battle led personally by Muhammad, the Messenger of Allah. The battle began with the rout of the Muslims, and they fled to save their own lives, utterly oblivious of the presence, in the battlefield, of their Prophet. In the end, however, they were victorious, thanks to the courage and resolution of the Prophet himself and a few of his kinsfolk. Victory was not gained cheaply. The Muslims paid a very high price. There was a great slaughter of the Muslims at the beginning which was caused by their own panic and irresolution. Two Muslim tribes were almost totally annihilated, and that the Prophet held a funeral prayer for them. Partially offsetting this tremendous loss of human lives, was the unquestioned supremacy the victory brought to the Muslims. The hero of the battle of Hunayn was Ali ibn Abi Talib. At a time when all the companions had fled from the battlefield, and only eight men were left with the Apostle, it was Ali who stood between him and the enemy, and defended him. The tribesmen charged repeatedly but he repulsed them each time. Eventually, Ali succeeded in turning the tide of the battle. First he caused Uthman bin Abdullah, one of the leaders of the enemy, to fall from his camel, and be killed; and later, he killed Abu Jerdel, the Hawazin leader. When these two generals were killed, the enemy lost heart and lost the battle. The defeated tribes had abandoned all their baggage and thousands of their animals. The Apostle ordered them to be collected and taken to Jirana, a place mid-way between Taif and Mecca, and to be kept there pending his own arrival. In the meantime, he decided to capture Taif which was the last stronghold of the infidels where the fugitives from the battle had found sanctuary and ordered the main body of the army to march on that city. On his way to Taif, the Apostle rode past a small crowd of people who were standing around the body of a slain woman. Upon enquiry, he learned that she had been killed by Khalid bin al-Walid. When he heard what had happened, he sent word to Khalid and forbade him to kill child, woman or hired slave. The Apostle laid siege to Taif but it was abortive and was abandoned. Taif, however, voluntarily surrendered some weeks later. From Taif, the Apostle went to Jirana to distribute the spoils of war. The share he gave to Abu Sufyan and his sons, the leaders of the clan of Umayya, was larger than the share he gave to anyone else in the camp of Islam. Abu Sufyan, who had good reason to expect less than nothing, after his performance in the battle of Hunayn, was carried away by the generosity of the Prophet, and said "You are generous in war no less than you are generous in peace." Some historians have written that the share which the Apostle gave to Abu Sufyan and his sons, was actually a bribe to keep them Muslims, and that there was no other way he could have won their loyalty. But these historians should note that after the conquest of Mecca, Abu Sufyan and other members of Banu Umayya, were at the mercy of Muhammad. He could have exterminated them, and all the idolaters of Arabia could not have done anything to save them. It was not necessary for him to bribe them or anyone else into accepting Islam as their acceptance of Islam was of no value. In gifting Abu Sufyan and his sons, the Prophet of Islam was only demonstrating his own freedom from vindictiveness and trying to wear out their hostility to Islam. Abu Sufyan, his sons and other Umayyads - the recipients of the gifts, were called, ever after Muallafa Qulubuhum – those whose hearts were gained over. The Prophet gave his enemies large shares out of the booty only for their Taleef al-Qulub – gaining over their hearts. "What is it that I hear from you, O Ansar, about the apportionment of booty? Are you roiled up because I gave a larger share of the booty to the Meccans than I gave you? But tell me this: is it not true that you worshipped idols and Allah gave you guidance through me? Is it not true that you were riven by civil discord and Allah united you through me? Is it not true that you were poor and Allah made you rich through me?" In answer to each question, the Ansar said: "Yes, that is so, and it is the grace of Allah and His Apostle." 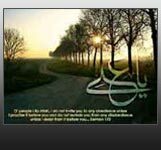 Then Muhammad said:"...but you might have answered and answered truly, – you came to Medina rejected as an impostor, and we bore witness to your veracity; you came as a helpless fugitive and we assisted you; an outcast, and we gave you an asylum; destitute, and we solaced you." When the Ansar heard these words, they were smothered with tears, and they cried: "Let others take the sheep, the cattle and the camels with them. All we want is Muhammad, and nothing else." The Ansar also feared that the Prophet might decide to stay in Mecca, and make it his capital. But he reassured them that he would never leave them or Medina. From Jirana, the Muslims returned to Mecca where the Prophet performed the Umra, or the Lesser Pilgrimage. The Prophet gave finishing touches to matters relating to administration and policy. Before leaving Mecca for Medina, he appointed Akib bin Usayd as governor of the city. This was the first permanent civil appointment in Islam. He also declared Mecca to be the religious capital of Islam. The Apostle returned to Medina with the Muslim host after an absence of more than a month.